Kent County saw several severe storms last year, including the outbreak on August 20 that included tornados and high wind damage. There were no fatalities, perhaps due to early warning by the National Weather Service and weather spotters trained in the SKYWARN® Course. Thursday, March 16, 2017 – 6:30 p.m. – 9:30 p.m.
Register in advance at https://www.eventbrite.com/e/kent-ottawa-severe-weather- spotter-training-2017-registration-28894842251?aff=es2. The program is recommended for ages 11 and older. Those with an interest in weather, serving the public and who have access to communications equipment (ham radios, cell phones, etc.) are encouraged to attend. Volunteers in the past have includes first responders, dispatchers, public utility workers and concerned private citizens. Spotters also include people who work at hospitals, schools, churches, nursing homes. 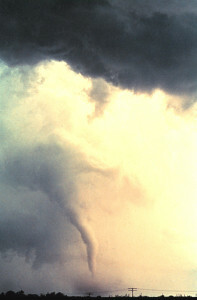 Those who attend the free three-hour training will leave the course as spotters, capable of identifying and describing severe local storms and damage threats. The volunteers are not “storm chasers” who travel hundreds of miles to seek out storms; most of the volunteers will monitor the skies or rivers from near their homes. Safety of spotters is a top priority.